Why should I consider LTC insurance? You’ve worked hard, saved, and invested wisely for a secure future. Don’t let unexpected long term care expenses deplete your assets or affect your retirement plans. Purchasing a long term care insurance policy can help you preserve your assets, your financial independence, and your retirement plans. Can I finance my own Long Term Care without insurance? Yes, but LTC is very expensive. Within the next 10 years, it is estimated that the average cost of a nursing home could be as high as $100,000 per year. 1/3 of all couples exhaust their finances after just 13 weeks in a nursing home. Won’t Medicare pay for my long term care? This is a common misconception. Medicare was not designed to cover long term care expenses - it pays for some skilled nursing facility and home health care expenses after a brief hospitalization. Medicare currently only pays for approximately 2% of all nursing home and home health care services. A recent survey by AARP showed that 60% of its members believe that Medicare will be the primary source of financing for their long term care needs. Medicare, on the other hand, specifically points out in its guidebook of benefits that a person should not depend on Medicare as a primary source for long term care assistance. Also, keep in mind that Medicare may not be around by the time you need assistance. Will Medicaid provide for my long term care? Medicaid is intended as a safety net for the poor. In order to qualify for Medicaid, you must divest yourself of assets, which means spending down to the poverty level. Can my family provide long term care? Yes, nearly 1 in 4 households - some 22.4 million US families - provide care for elderly relatives. Studies have shown, however, that 67% of children become clinically depressed while taking care of their parents. We are living longer lives than ever before. With this comes the effects of aging and longevity - reduced physical or mental ability. You can help prevent the emotional and financial burden that disability can place on a family with Long Term Care Insurance. A Medicoverage agent can help you with this process. Women: 75% of the current over-65 nursing home population is comprised of women. Women live an average of 5 to 7 years longer than men and are more likely to need long term care services for an extended period of time. Aging Parents: Children of aging parents might want to consider long term care insurance for their parents. If long term care services are ever needed, it can enable children to ensure quality care for their parents as well as avoid the time, cost and emotional demands of caring for their parents themselves. Family History of Illness: People with a family history of debilitating illnesses such as Alzheimer’s or strokes should consider purchasing a long term care policy, for obvious reasons. The most important thing to remember is this: the longer you wait to purchase a long term insurance policy, the more expensive it will be. Procrastination is your enemy. Speak with a Medicoverage agent today at 1 888 285 MEDI. Don’t wait until you need long term care because by then it will probably be too late. Sometime in the future you may need non-medical assistance in your home. This is usually the case when you become injured or very old. You may need someone to assist you in performing the Activities of Daily Living (ADL) such as eating, using the toilet, bathing, getting out of bed, dressing, etc. These services can be administered by a non-medically-trained caregiver but are still very expensive. Additionally, these services are not always covered under your traditional health insurance plan, and when they are, such benefits are often limited to a certain number of days. Long Term Care (LTC) Insurance is designed to help pay for the high cost of home care. 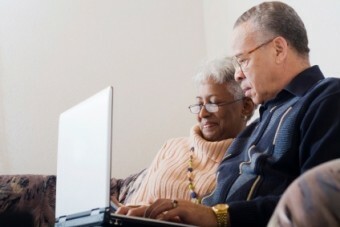 In 2010, roughly 9 million US seniors will need long-term care services. While most recipients are 65 and older, over 40% currently receiving LTC are aged 18 to 64 years old. Is LTC right for you and your family? Check out our Frequently Asked Questions page and then contact us to speak to one of our agents. There is a lot of confusion when it comes to senior dental insurance. We address the main dental issues in the three points below. 1) Medicare or Medigap Dental? Neither Medicare nor Medigap supplemental insurance plans will cover dental services. If you are a senior and want dental insurance, you will have to buy a separate policy. Some companies, like Delta Dental, offer special plans designed for seniors, while other companies allow seniors to purchase the same coverage as those under 65. 3) Do Seniors Need Dental Insurance? Older people who haven’t had a history of dental problems still need to see a dentist. Seniors have the highest rate of oral cancer and dentists often spot the disease first. If you are a senior and are interested in a dental plan, visit our Senior65 contact page to get in touch with a agent who can steer you in the right direction. Identifying the best Medigap plan depends on your individual medical needs and your budget. To pick the one that’s right for you, we recommend that you first review the available plans page to see what each plan covers and compare their offerings to the benefits you care about. Do you have a chronic health care condition that frequently lands you in the hospital? Do you have a disability that requires a skilled nursing facility? What is your family health history? Has anyone in your family required hospice care? Would you like to have your preventative care covered? Medicoverage has recently launched a new site dedicated to senior health insurance that offers a easy way to compare medigap plans. Check it out. Finally, one of the more challenging questions you must answer is whether you want your Medigap policy to pay for your Medicare coinsurance/copayments and deductibles. To figure this out, you must look at your current expenditures on coinsurance/copayments and deductibles: i.e. are you using your Medicare (or other insurance) a lot already? If so, do you think that paying the monthly premium for the Medigap policy would cost you less than the total of all these expenditures? If the answer is yes, then you should elect a Medigap policy that covers these expenses. Now it’s time for you to learn how to win the Medigap pricing game. Visit our “Getting the Best Price” page to learn how. Medigap is nickname for Medicare Supplement insurance. Medigap plans fill in the “gaps” of Original Medicare. Many top health insurance companies offer them, including Blue Cross, Blue Shield, Aetna, AARP United Healthcare, and others. You can enroll in any Medigap plan offered in your area. What you may not know is that they are all standardized and regulated by the Federal government. What this means for you is that you shop based by the best price. Read our Medicare vs Medigap page to get a better understanding of how this all works! Medigap is mainly intended for people age 65 or older, who are enrolled in both Parts A and B of Medicare; however in some circumstances persons under 65 and enrolled in Medicare may be eligible. What services and benefits does Medigap offer? Click here for an overview of all the Medigap plans. No. You’ll want to enroll in a stand-alone drug plan. Click here for an overview of the new Medicare Part D prescription plan. The cost of a Medigap plan depends on your age, zip code and desired coverage. Click her to get a Medigap quote. Where can I sign up for Senior Medigap? 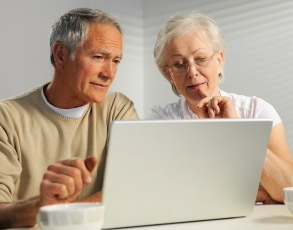 We have just launched a new site called Senior65.com that is dedicated to helping you understand and sign up for Medicare Supplement Insurance.